Back in 2013, when OnePlus announced the One model, many of us knew almost nothing about this company. We simply heard of a no-name from China with promises of making a “flagship killer”, which was alleged to be competitive against powerful devices made by Samsung, LG and Sony. This sounded ridiculous, but when the One model was released, many of us enthusiasts fell in love with it almost instantly. The OnePlus One was a unique smartphone. It’s pretty powerful still, because it sports the really speedy Qualcomm Snapdragon 801 CPU and 3 gigabytes of RAM. The device was available in two variants – white with 16 GB of internal storage, and black with 64 GB. At the day of the premiere, it cost just $349 for the 64 GB variant. It was a dream offer, so even despite the infamous invite system, the One model found thousands of buyers. To me, OnePlus One is one of the most beautiful Android devices ever released. The rear made of crisp smooth plastic or the sandpaper-like texture feels good regardless of your preference, and the front panel is also beautiful because of its minimalist style and lack of visible hardware buttons. I know that some of you love more premium devices, but the OnePlus One was really fresh and is still one of the prettiest devices around. The OnePlus X might be a contender to become a number one (design) in my subjective opinion, but I had no chance to play with it yet, so my impression is based on videos and images. Pure hardware specifications translated to great benchmarks, as the OnePlus One was a killer machine at the day of premiere. After over a year it’s still a powerful device. You can compare its benchmark results to some newer phones to find out how much of an amazing performer this device was (via PhoneArena). Benchmarks may not fully reflect a device’s snappiness. OnePlus One is rapid fast and even Cyanogen OS “features” can’t slow it down. OnePlus One is also unique when it comes to software. This device is maintained by Cyanogen Inc., which uses its own Cyanogen OS (CyanogenMod S, at the time). This “operating system” is nothing less than CyanogenMod with a bunch of extra features, but not much more than a ROM and definitely not a unique OS. This was the first Cyanogen device that became commercially successful, which helped Cyanogen Inc. greatly in making its mark in the mobile industry. The relation between the two is far from perfect, and OnePlus decided to hire almost the entirety of the Paranoid Android team to make Oxygen OS, which is CyanogenMod-free. In terms of development and flashing, the OnePlus One is relatively close to a Nexus device (as far as a Chinese phone gets!). It’s easily unlockable and doesn’t require any extra hacks to get rooted. Since its premiere, we had the pleasure of seeing almost every major ROM making its way to OnePlus One. You still can download CyanogenMod, OmniROM, SlimROM, AOSPA and many more ROMs for this device. Some kernel developers known mostly from Nexus support also decided to create their own kernels for the OnePlus One. Despite the time, the OnePlus One is still a device with some of the best custom ROM support here on XDA. We can say a lot of bad things about CyanogenMod and Cyanogen OS, but they keep maintaining their devices. Device tree, kernel and vendor blobs are always up-to-date. The One is set up to receive a Marshmallow update once CyanogenMod 13.0 will become a more mature project. Nightly builds of this system are available to download from the official CM page. Obviously, CyanogenMod is not the only ROM available for OnePlus One. Its kernel is a base for many projects, but we can name at least a dozen of ROMs worth mentioning when we talk about custom ROM development. And if that wasn’t enough, OnePlus also offered ROM alternatives to the Cyanogen solution that comes by default. OmniROM – unlike most of the projects, OmniROM is not based on CyanogenMod kernel and device tree. Its developers adapted the OPPO Find 7 sources to work with the almost identical OnePlus One hardware. It’s one of just a few projects that uses the name find7op instead of bacon as a device name. A Marshmallow version of the ROM is still at its alpha stage, but we should expect it to become more stable in the upcoming weeks. Sultan’s ROM — Known for its buttery-smooth performance, great battery life and optimized features, Sultanxda pushed the boundaries of software and hardware through various modifications that improved camera performance and pretty much everything else. AOSParadox – a ROM that almost makes the OnePlus One a Nexus device. It’s AOSP in its purest form with just a few modifications to make the ROM more complete. If you are not a fan of CyanogenMod, it’s definitely something worth to try on. franco.Kernel – franciscofranco is a developer widely known on XDA. He creates kernels mostly for Nexus devices. OnePlus is an exception. If you are looking for a stable and battery-friendly kernel, check out franco.Kernel and its dedicated application. Boeffla-Kernel – stable and highly configurable kernel maintained by XDA Recognized Developer Lord Boeffla. If you are looking for a stock replacement, this kernel should definitely go on the “to check” list. Hydrogen OS — This is an alternative official ROM aimed at Chinese users, with an interesting look and an expanded feature set. We’ve reviewed it and it hardly looked like the Android we are used to. Of course, OnePlus One is on the nightly lists of such projects as Nameless ROM, Exodus ROM or MultiROM. And if there is a big custom ROM, there is a huge chance that OnePlus One is supported – just like Nexus devices are. OnePlus One is also officially supported by most teams creating recoveries. Installing the newest version of TWRP or PhilZ takes no longer than a few seconds. Mentioning every single project on XDA would have taken me forever and a day. OnePlus One has one of the biggest ROM and kernel bases on XDA. If you are looking for a rather inexpensive device with really great support, try to get One. The OnePlus One is one of the most important Android devices in history. This statement might be bold, however after its premiere, some smaller companies decided to release really powerful models for reasonable prices. There are some Chinese brands like Letv, Elephone, Oukirel or Bluboo that offer cheap and quite decent smartphones but it was OnePlus that started a revolution in mobile tech. Today, you don’t have to buy a device for $600 to have the really high-end specifications, and the mid-range segment has gotten better than ever. It’s hard to tell whether the OnePlus 2 will ever be at the same level of popularity as its predecessor. OnePlus made some really controversial decisions like leaving NFC out. While it’s not used by everyone, NFC is still an extremely useful feature and lack of such feature is a very controversial move. Nevertheless, the OnePlus One will remain one of our warmest Android memories, and it will likely run the latest and greatest in Android for a good while thanks to developer support. You can read more about OnePlus and its way to success in one of our previous features. 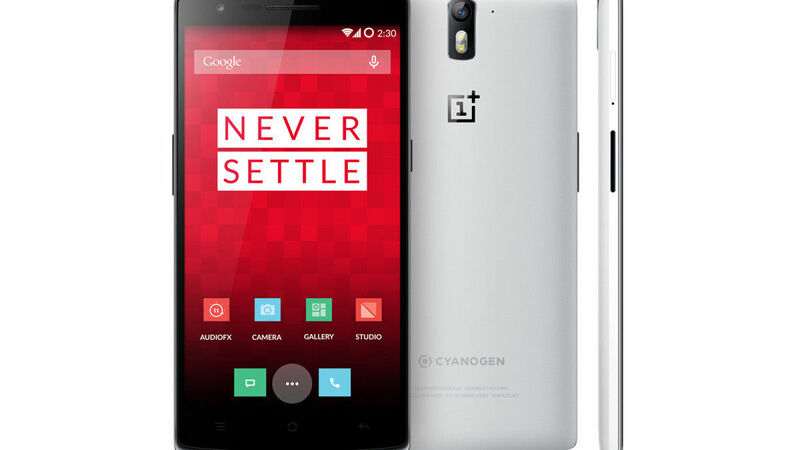 Do you think that OnePlus One is still worthy to buy? Or maybe there are some other devices ready to replace it? We’d love to know your opinions! Share your thoughts in the comments.